From Friday 27 November images from ITV’s hit series and global phenomenon ‘River Monsters’ are going on display at Bristol Aquarium. 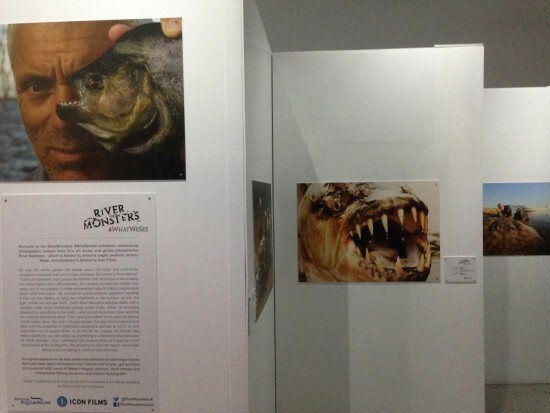 The inaugural River Monsters #WhatWeSee exhibition showcases over 25 incredible photographic images from the hit series that is hosted by extreme angler explorer Jeremy Wade, and produced in Bristol by Icon Films. Visitors to the Harbourside attraction will be able to get up close and personal with some of Wade’s biggest catches, most remote and inhospitable fishing locations and bizarre looking fish. “It’s a great pleasure to be able to share some of the great pictures we have taken throughout the 7 series, as well as some of the behind the scenes moments,” said Laura Marshall, Managing Director of Icon Films. “We’re all big fans of River Monsters here at Bristol Aquarium and we can’t wait to open this new exhibition for visitors,” said Bristol Aquarium’s Sarah Moore. “We hope thousands of people will enjoy this fascinating insight in to the world of River Monsters and Jeremy Wade,” she added. Presented by Icon Films, and hosted by Bristol Aquarium, the exhibition is included in admission. Icon Films has a reputation for originality, excellence and entertainment across the breadth of factual genres including science, history, exploration and natural history, having produced over 350 hours of factual programming over 25 years for UK and international broadcasters. Headquartered in Bristol, the UK’s capital of natural history TV production, Icon Films creates award-winning programming for broadcasters including the BBC, Channel 4, Five, ITV, National Geographic, Discovery Networks, Arte and PBS. The company is listed in Realscreen’s Global 100 top independent production companies as voted for by broadcasters, producers and distributors in the global non-fiction content industry. 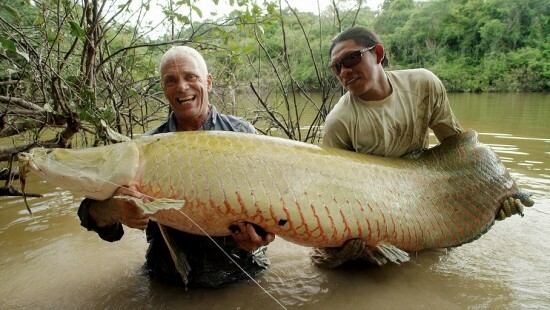 River Monsters, Icon Films’ hit series for Animal Planet US is the best performing series in the network’s history. Now in its eighth series it is presented by angling explorer Jeremy Wade.